The holiday pack is an essential part of your Camino de Santiago trip with CaminoWays.com. These holiday packs have been prepared by the CaminoWays.com team, after traveling and researching different destinations. The holiday pack contains all the information you need to enjoy your holiday with CaminoWays.com. 3 months before your trip you will receive an email with your trip preparation documents, then 1 month before departure you will receive your holiday pack. *For last minute bookings: your holiday pack will be sent as soon as possible. *We have way points for Garmin GPS devices for most of our Camino de Santiago routes, ask the team if you need them. We can also provide you with a route map you can open in your Google maps app or Maps.me. A good starting point is the CaminoWays.com blog, where you can read our latest articles related to the Camino routes, such as interesting facts, places not to miss, upcoming festivals and other updates written by the team each week. 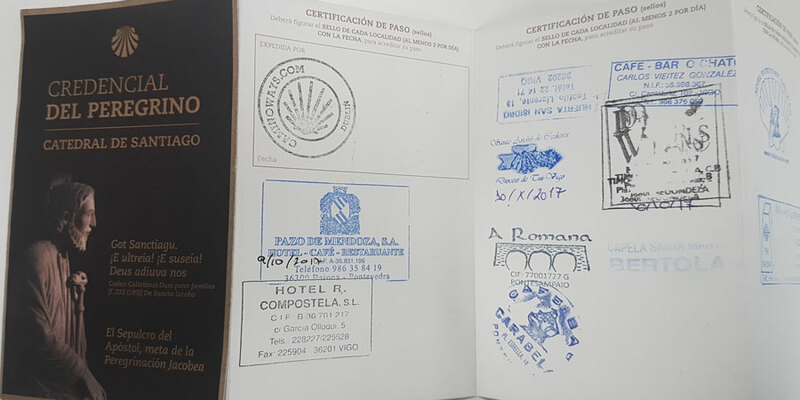 This is the pilgrim passport also known as ‘credencial’, provided by CaminoWays.com. You should stamp it each day during your Camino, tracking your journey’s progress. 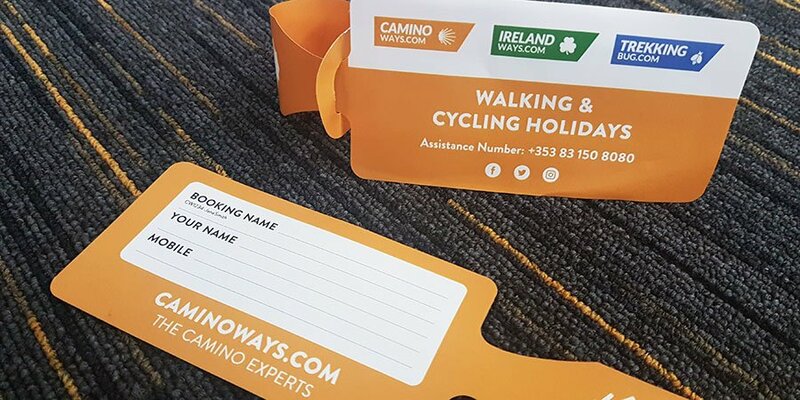 Our transporters have more CaminoWays.com tags, so if the tag gets damaged they will replace them with your details, you don’t have to worry.